Cropping in camera is one of the most under utilized tools I see most amateurs and many of my students overlook these days. I don't know why that is, but as I tell my students, mentally "narrowing your vision" and then cropping in camera is the single most powerful creative technique (that costs nothing!) that will drastically improve any style of photography. Cropping is how we as professionals and artists create composition. When you walk into a scene and merely point the camera, in landscape mode, with say a 24mm lens and record the whole scene you'll rarely come away with an artistic composition. An artistic composition is often created by the artist by what he does not show. In other words the artist chooses to show something (as the center-of-interest) and eliminates other things that may distract the viewer's attention away from that center-of-interest. This concept is second nature to me because of my involvement and study of film making these past 35 years. Directors and cinematographers know that to dwell on the whole scene (what we call the "Master shot") in a given take, for too long, will bore the audience. So, we cut to different cropped views and "inserts" that show more detail to hold the viewer's interest. This is the basic visual language of film making. Still photographers need to study the great filmmakers for lessons on composition, lighting, and lens usage, if they really want to progress as artists. 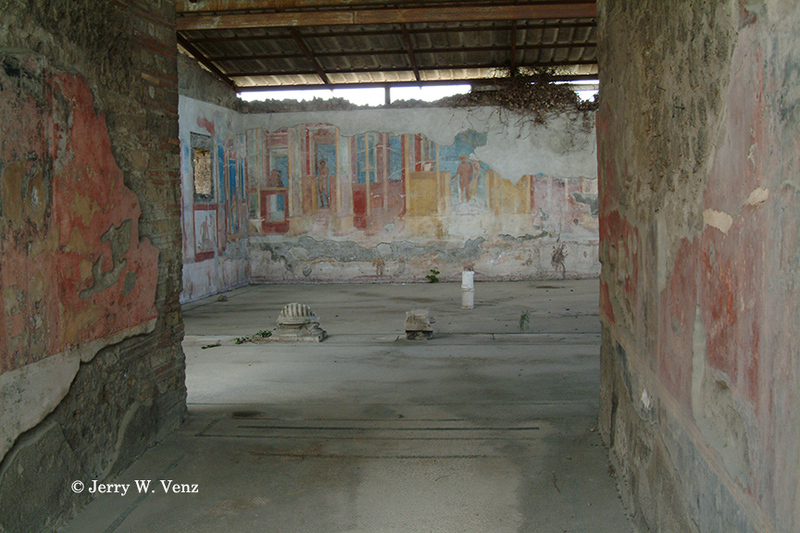 The images below were created in Pompeii, Italy on a day trip there while we were staying on the Isle of Capri. I say a "day trip" because when visiting such marvelous, large, iconic, sites, I cannot be a part of a one or two hour tour with 50 other tourists. Not a chance! I need to wander on my own while my wife patiently waits--and assists when I need help! 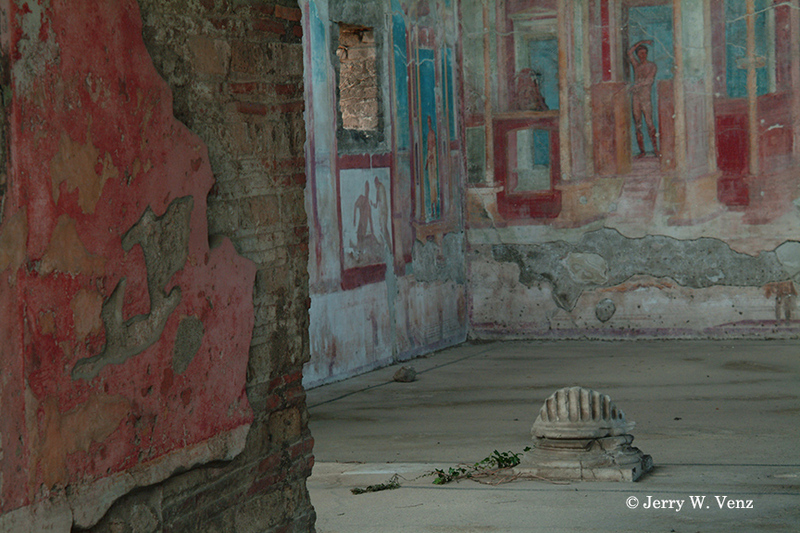 This is the cropped, in camera, version of one of my favorite scenes in Pompeii. Notice the very important inclusion of that near wall, on the left, giving it perspective and some interesting foreground and lead-in lines. This is the scene as I walked in, showing most of the room, warts and all. This is the "Master Shot" that most tourist would take and walk away. There are all kinds of images within this scene! When you "narrow your vision", with a zoom lens, you'll find many vertical slices and interesting details throughout the scene. To further illustrate the concept of narrowing your vision, using in camera cropping, the next images show how dramatic the results can be. 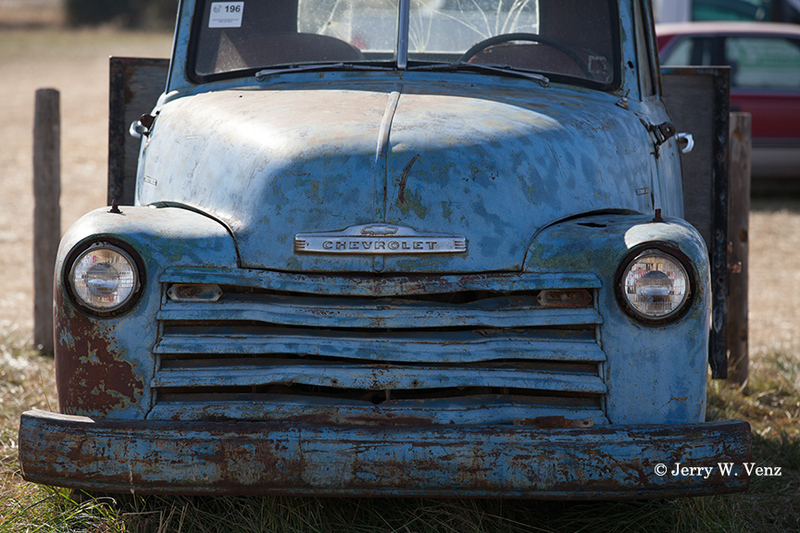 I was doing some Halloween coverage, for a local magazine, at this Boise pumpkin patch, when I happened across this marvelous old Chevy truck planted near their front gate. 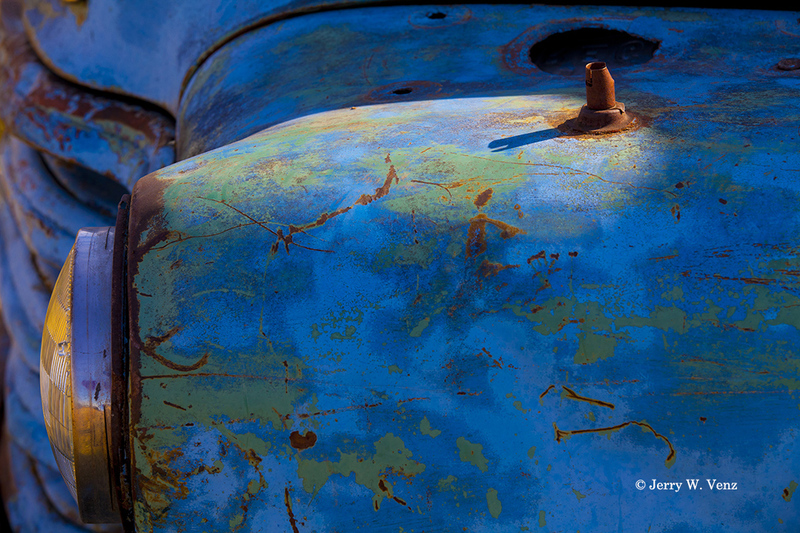 It all came together, within about 15 minutes, while I waited for the sun to move enough to light-up the rusted base, on the top of the finder, where the truck's antenna once was. Bam! I had the image. Then I spent another half-hour taking vertical slices and detail images on that side of the truck for complete coverage. So, have fun out there and remember…Narrow Your Vision!